Best hospital for knee replacement in india, best hip replacement hospital in india, cost of knee replacement in india, best orthopaedic surgeon in india, best hospital for orthopaedic treatment. Hip replacement is also known as hip arthroplasty. Its is a surgery to replace damaged hip with artificial hip or we can say an Implant . The replacement surgery can be done by metal, plastic parts or ceramic to swap the ball at the upper end of femur and rematerialize the hip socket. This replacement can be fully or partially. The Replacement for one hip is called Unilateral Hip Replacement and for both the Hips it is called Bilateral Hip Replacement. All Our Associated Hospitals like Fortis, Gleneagles Global, BLK, Artemis, Jaypee, Continental,Maxcure, KIMS and Apollo Spectra have the highly Experienced team of Orthopaedic Surgeons. The Package for Unilateral Hip with American Implant ranges from USD 4500 to 6000 at our partner Hospitals. For Bilateral Total Hip replacement, it ranges from USD 9000 to 12000, Length of Stay in India for International Patients is approx. 3 to 4 weeks. What is Replacement of the Knee ? Knee replacement which is also called Arthroplasty, is a surgical procedure to restructure a knee damaged due to arthritis. Metal and Plastic substances are used to Cover the ends of the bones that form the knee joint, along with the kneecap. The Surgery may be planned for a Person who has severe arthritis or a severe knee injury. As GHN is associated with Top Orthopedic Hospitals in India. We work with Best Orthopedic Surgeons in India having huge experience in Knee, Hip, Elbow & hand surgeries. The Doctors have been treating large number of Patients with excellent results at our Partner hospitals in India. The Cost ofUnliteralknee replacement ranges from USD 4500 to USD 5500 depending upon the health status of the Patient. The Cost of Bilateral Knee replacement ranges from USD 9500 to USD 11000 at our Hospitals in India. We have the best hospitals for Knee replacement surgery in india at New Delhi, Mumbai, Chennai, Bangalore and Hyderabad. We have some of the finest Orthopaedic surgeons known all over the world operating successfully at our partner hospitals. For an Opinion from Top Doctors and Hospitals, You need to share with us recent medical reports of the Patient so that we could get them reviewed by our doctors and help you with most suitable line of treatment, cost and stay in india. You can share medical reports by email or send me clear pictures of medical reports over WhatsApp. GHN Advantage for Best Knee Replacement surgery in India? Over the years we have treated a large number of Patient from Africa, Middle east, SAARC nations with wonderful outcomes, With the Technological Advancement and new techniques the recovery of the Patient is very quick. Patient need to stay in India for maximum 3 to 4 weeks and flies back home. We serve Patients with exclusive services to make their Travel Convenient, Making the feel home away from home with Comfortable stay at the Hospital during the Treatment and also outside Hospital with our round the clock assistance.Dedicated Team of members to assist you round the clock. -Opinion from Top Orthoapedic Surgeons in India. -Personalized medical care during your stay in India to make you feel at Home away from Home. -Continuous follow ups post Treatment. In case you seeking Opinion for your Knee replacement treatment in India, Kindly share your X-Ray & MRI reports with us at Care(at )ghnservices.com. You may also contact us or WhatsApp clear Pictures of Medical reports at +91 9818857545. Person who is suffering from acute shoulder pain and problem those persons go for the shoulder replacement surgery, it has become the one of the common and a successful surgery in last few years due to continues development and improvement in the technology. The main goal of this surgery is to provide relief from the pain and from the arthritis. 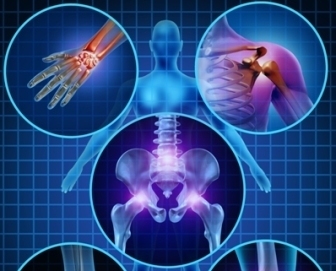 Arthritis is a condition in which the cartilages of the joints get affected as the cartilages lining tear away, the protective lining present in middle of the bones is lost which causes the pain. Shoulder Replacement Cost in India ranges from USD 4500 to 8000. Free Medical Opinion from Topmost Orthopaedic Surgeons in India upon receipt of Medical reports. Continuous Follow Up with Experts after your Departure from India. Please share all medical reports of the Patient, You can share them over Our Email- care (at)ghnservices.com by scanning and sending the Reports or you may choose to whatsApp pictures of reports over +91 9818857545 for Best Orthopaedic treatment in India.